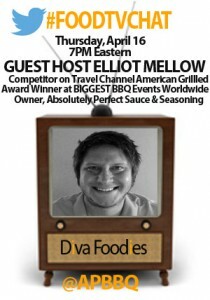 Diva Foodies is delighted to welcome Elliot Mellow , FoodTV competitor on the Travel Channel’s American Grilled, as our #FoodTVChat Guest Host on Thursday April 16th at 7PM Eastern. Elliot is also an award winning BBQ competitor and owner of Absolutely Perfe ct Sauce and Seasoning. Please join us and our favorite Twitter foodie dudes @donchefbunny and @leftofstr8 as Elliot Mellow gives us an inside peak into the red hot world of big time BBQ competition, both onscreen and off. Elliot Mellow is the owner of Absolutely Perfect Sauce and Seasoning, a line of artisanal BBQ ingredients made in St. Louis Missouri. He has competed in close to 100 BBQ competitions around the U.S. and won awards at some of the biggest BBQ events in the world including Memphis in May World Championship , American Royal World Series of BBQ and the USA BBQ Championship. Besides traveling the country winning live BBQ competitions, Elliot has also competed on #FoodTV competitions such as American Grilled on the Travel Channel. 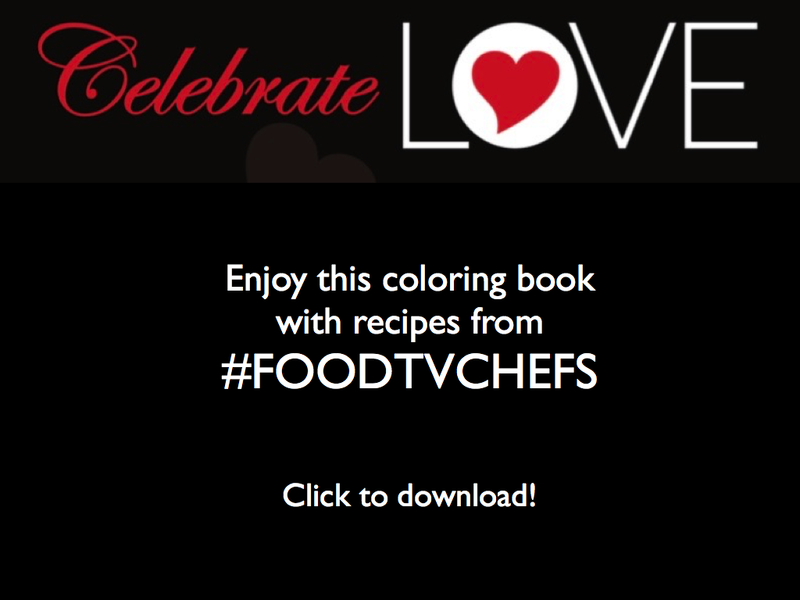 He has also been featured on Joey Fatone’s My Family Recipe Rocks on the Live Well Network. Check out the video for Elliot’s Perfect Score Ribs Recipe and BBQ Sauce. Cut spare ribs down to STL style. This includes removing the brisket bone from the top of the slab. Additionally make sure to “skin” them by removing the membrane from the back side.Apply rub to the ribs. After rub has been sprinkled on use a fork to press the rub down in between the bones (this is how we get flavor to penetrate the meat! 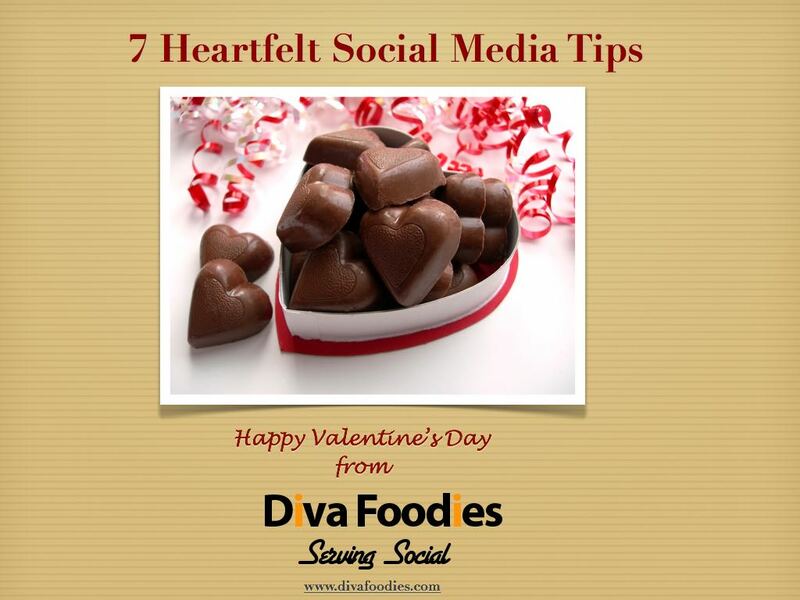 )Place ribs onto a smoker that is holding a temperature of 235 degrees. Place the ribs on the cooker meat side up, this means the curved side is on top.To make the baste, mix together apple juice, honey and cider vinegar.After 1.5 hours open to cook to baste the ribs (if cooking numerous racks of ribs this is also a good time to “shuffle” them around in the cooker so they all cook evenly).Continue basting every 30 to 45 minutes. We are using the baste for flavor but we also use it to maintain the rib’s bright red color. The bast helps slow down the ribs from becoming too dark.After 4 hours on the cooker it is time to wrap the ribs. Make an aluminum foil boat and fill it with the braising liquid. Place the ribs meat side down in the foil boats and seal them.Place the foil boats back on the cooker and start to get the rest of your meal ready, the ribs will be done soon.After 1.5 hours in the foil it is time to pull the ribs from the cooker.As you open up the foil boats it is time to inspect the ribs for doneness. You want some bones to show but the ribs should still be firm enough that you can pick them up.Paint the ribs with BBQ sauce (click here for recipe) and place them meat side up on the cooker. You want the ribs to have some flex to them but not falling apart. After about 30 minutes of cooking the sauce in, the ribs should be ready! So join us tomorrow night at 6PM Central/7PM Eastern for #FOODTVChat with Guest Host Elliot Mellow and bring your BBQ questions!